Then I became a parent and realized I was in a whole new ball game! Parenthood was so much tougher than I thought it would be. I often feel like I'm in over my head and that I am just winging it day by day. It has pushed me to be a better version of myself and taught me so much. It can be such a hard job at times but one that I absolutely love! 1. You can never have enough patience-- I can not believe the stores of patience I have learned to call upon as a mother and yet I still feel like I never have enough. No one knows how to test your patients quite like your own child. 2. Time really does fly by!-- I never understood the expression the days are long but the years are short. It never made any sense to me... and then I had kids and some day felt very very long. When my boys were little and all needed something from me all day long I could not wait for bedtime, I could not wait for them to grow up, I thought each day lasted forever. But weeks, months, and years just flew right by. 3. There is something to love and dread about each stage of development-- I love how cuddly and cute babies are but those sleep deprived endless days nearly did me in. Toddlers are so darn cute with their constant struggle for independence but wow! the tantrums can be brutal. I have found that there is no perfect age. With each stage there is something new to love and new challenges that arise. 4. You can plan all you want but sometimes you just have to throw the plan out the window-- I am a consummate planner and it took me a long time to realize that parenthood is much easier when you learn to go with the flow. I have learned to be careful of using words like "never" and " always"... As in my child will never sleep in my room. I think that lasted all of a week. 5. No two children are alike-- I honestly thought I was all set to have my second son, having learned so much about what worked and didn't work for his older brother.. so you can imagine my surprise when nothing we had used worked for my second son. I've learned that each of my boys are so totally different with different needs, wants, expectations, and personalities that there is no such thing as "it worked for your brother." 6. Sometimes LOVE is all you need-- Through the absolute toughest of days and times love is what sees us through. Hugs, kisses, and assurances of love no matter how awful the behavior go such a long way. 7. It's OK not to have all the answers-- By the time my boys were two and three and in that "why" stage I completely gave up on having answers. "I don't know.." "Let's Google that.." and "Why do you think..." became some of my go to answers. 8. 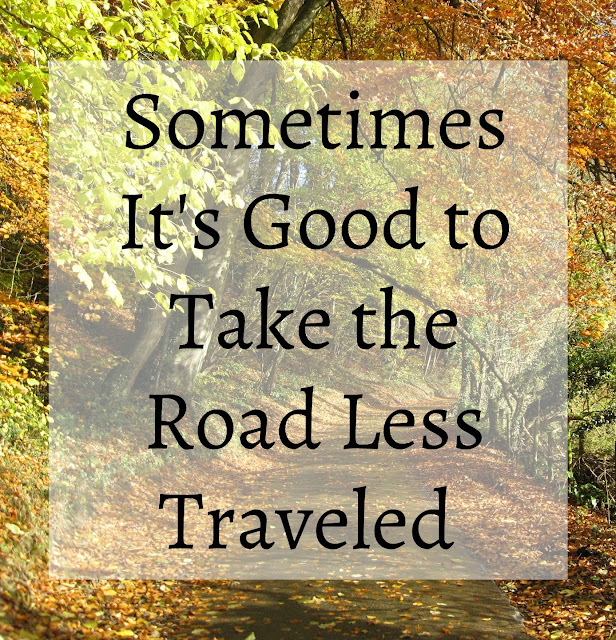 To take the road less traveled-- There are so many parenting options out there and often times as parents we feel pressured to parent the way that those around us do. When it came time to put my oldest in pre-school I didn't really even think about it; all the moms around me were researching preschools so I had to too. Looking back on it I sometimes regret sending him to school so young. When it came time to look into homeschooling I was terrified and mainly because the only person I knew who was homeschooling was my sister; but it turned out to be the best thing for our family. Sometimes the road less traveled is exactly the one we need. 9. The importance of a mom tribe-- My mom tribe has changed so much throughout the years of motherhood. When my boys were little I found other stay at home moms made the best support group, then when my boys moved onto preschool and school we found loads of other parents at our school to hang out with, as we moved into homeschooling I found lots of other homeschooling moms were what I needed most. I think it's important to find a group of people who are going through something similar to what you are going through. There is solace in having a person or group of people who just completely understand you and your struggles. 10. To make the most of every day-- Because those days and years just fly right by, and because life can be tough, and because each stage of development comes with it's own set of challenges... we have learned to make the most of every day. We look for ways to add fun into each and every day, we relish the time we get to spend together, and we make sure to laugh a lot. 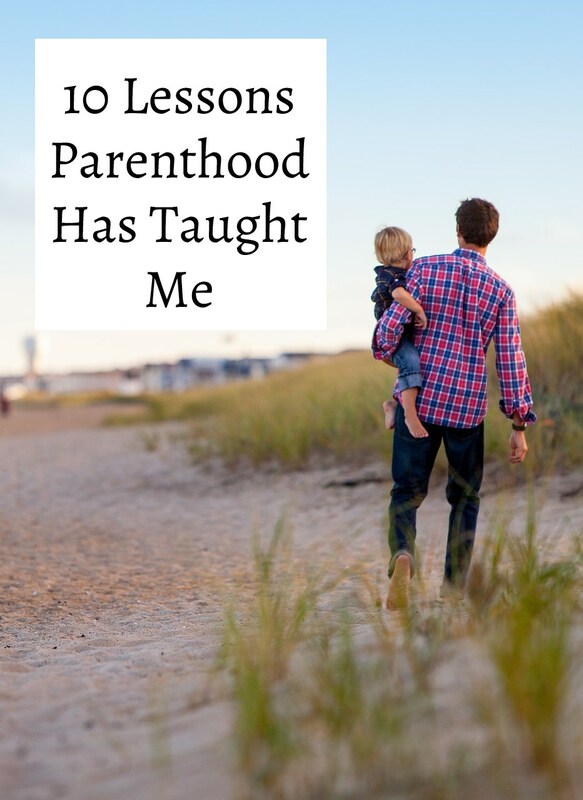 What are some lessons parenthood has taught you? These are all so true! It is so funny how different all my kids are. I'm definitely with you on planning. My middle son likes to have a plan and he can get so upset when things change. It's one thing he still needs to learn to deal with! I see signs of that in my oldest too and know he gets it from me! I'm getting better but it's so hard to just let go when the plans fly out the window. I think I literally nodded my head the whole entire time my friend! 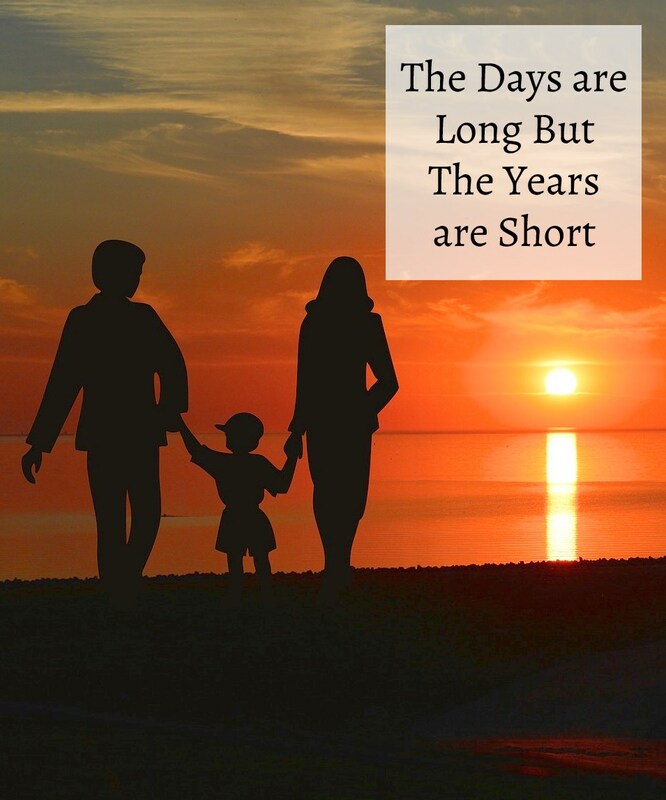 Nailed it and it’s so true about the days being long and years being short. Parenting is tough and you do it with such grace! Thank you for sharing on Wonderful Wednesday, it has been pinned and shared on Instagram. Please stop by and share again! Thanks for the pins and shares!